New management have given this established B&B a new lease of life. 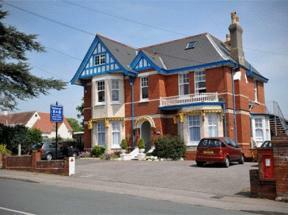 You can expect comfort, cleanliness and a warm welcome from this centrally located guesthouse. Potters Mooring was formerly a sea captain's residence and dates from 1625 when Shaldon was a small fishing community. Today, Potters Mooring now benefits from being an AA 4 star rated hotel.